Meet the Innovator is your opportunity to ask questions and meet some of the brightest minds in the sector. 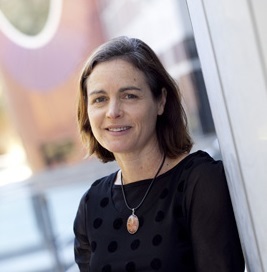 Our guest Innovator for March is Prof Melinda Hodkiewicz, the BHP Billiton Fellow for Engineering for Remote Operations at The University of Western Australia. With an impressive career covering industry and academia, and highly regarded by her industry peers and students alike, Melinda will share her experience inspiring creative problem solving and entrepreneurship in a traditional discipline. Melinda is the BHP Billiton Fellow for Engineering for Remote Operations at UWA. She studied metallurgy at Oxford University and worked in operations and maintenance roles in the US and Australia. After completing her PhD at UWA she joined the academic staff but retains close contact with her industry roots. Melinda also delivers a number of award-winning Open and In-company programs in Asset Management for Government and Industry. From 2012-15 Melinda was Australia’s nominated representative on the ISO 55000 AM Management System Standard committee. In 2016, she was appointed to the METS Ignited Advisory Council and in 2017 joined the NOPSEMA Advisory Board. She is currently teaching Risk Reliability and Safety to engineering students at UWA and leads research projects in Safety, Asset System Health and Maintenance. Melinda helped found the UWA Systems Health Lab, a dynamic environment for engineering, computing and mathematics students to work on challenging multi-disciplinary projects aimed at improving the maintenance of assets and together with her students has been part of the winning team at a number of industry hackathons. Melinda is also currently a visitor at the Alan Turing Institute in London, where pioneering efforts are underway to train the next generation of data science leaders and push the boundaries of this new science for the public good. Melinda will share her work as part of the Data Centric Engineering group.